When it's done right, the ketogenic diet can have major benefits, according to its fans. Adherents speak of fat melting away from their physiques, skyrocketing energy levels, mental clarity, and a wide range of health benefits that scientists are only now starting to investigate more deeply. But what's clear is that this diet, perhaps more than any other, can be done dead wrong. And surprisingly, the culprit isn't always just "eating too many carbs." 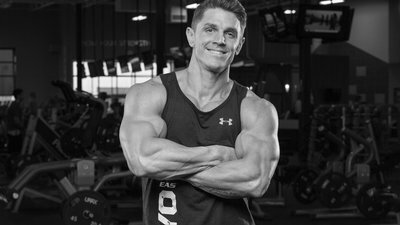 Here are the five keto mistakes you need to avoid, courtesy of Bodybuilding.com and EAS Myoplex athlete Jason Wittrock, who also lives and trains keto. If you want to learn more about the science of the ketogenic diet, be sure to check out the Ask the Expert Panel that Wittrock recently attended with dietician Steve Hertzler, PhD, and Bodybuilding.com science editor Krissy Kendall, PhD. Before you jump into keto, you have to understand something: You've been running on carbohydrates your entire life. Now you're asking your body to completely switch metabolisms and start using fat for energy instead of carbs. You will have some withdrawal effects during this time, commonly known as the "keto flu." What you need to do is stay committed. There are ways to minimize the keto flu, even if you can't eliminate it completely. Stay the course, the flu will pass, and all of a sudden, you will be in ketosis, and you will feel better than when you first started. As an athlete who follows a keto diet himself, Jason Wittrock understands the ins and outs of the lifestyle. As Parker Hyde pointed out in "Ketogenic Diet: Your Complete Meal Plan and Supplement Guide," becoming fat-adapted is a process of weeks, not just days. Most people need 3-4 weeks to reach peak fat-burning adaptation. Stick with it and give this diet a fighting chance! The best way to think of keto is that it's not simply a low-carb diet; it's a super-high-fat diet. Sure, you won't be eating a lot of carbs, but as I said in the Keto Roundtable, it's essential that you change your mindset from one of "avoid carbs" to simply "get enough fat." At least 75 percent of your calories need to come from fat; that's things like eggs, bacon, sausage, avocado, oils, coconut oils, and butter. You need to seek these things out. Mentally, it's not what you're used to. You're used to avoiding fats. Now, all of a sudden, you look at the grocery cart, and you've got nothing but fat. That is a good thing. Fat is your new energy source. You're not running on carbs anymore. You need fat. If you don't get enough fat, your energy levels will go down, and you will end up quitting this diet. Different people can handle different amounts of protein once they're truly fat-adapted. But in the early stages, it's better to be safe than sorry. What ends up happening if you consume too much protein on this diet is a process called gluconeogenesis. Essentially, your body is going to treat that protein like carbohydrates and convert it into glucose. That will kick you out of ketosis. It's very important that you choose high-fat, low-protein foods. You're not going to be eating a lot of chicken. You're not going to be eating a lot of tuna. When you go to the store, buy the full-fat ground beef, not the ground turkey. Buy the regular bacon instead of the turkey bacon. You only want 20 percent of your calories to come from protein. If you’re in a pinch and need a convenient meal option, check out the Myoplex Ketogenic Meal Replacement packets, they’ve got the perfect ratio of fat, protein, and carbs to help any keto dieter stay on track. Wondering how that looks in macros, or even a meal plan? Check out our complete meal plan and supplement guide. Electrolytes are important no matter how you eat, but they're absolutely critical on this diet. In fact, I would say they are the number one reason why most people end up failing. If you do not have enough sodium, magnesium, and potassium in your diet, you will experience headaches, fatigue, constipation, lethargy—in other words, all the symptoms of the so-called "keto flu"—and you will simply quit. Why does this happen? For one, insulin happens to be the hormone that tells your kidneys to store sodium. So, when you suppress the insulin, your kidneys begin flushing out the sodium from your body, especially when you work out. It's essential that you replace that sodium by salting your food, eating salty snacks, and one of my favorite tricks, drinking chicken broth. Potassium is also a major electrolyte that is used in all different kinds of muscle contractions and by your major organs. To get enough potassium, you can eat lots of green leafy vegetables and avocados. Honestly, I recommend eating 1-2 whole avocados a day. These little fat bombs can be your best friend! Finally, there's magnesium, which is used in almost every chemical process in your body. You can get magnesium from nuts and seeds like walnuts, almonds, pistachios, pecans, and pumpkin seeds, all of which are on the menu with keto. But I also recommend most people take some additional magnesium in supplemental form. Listen: Only 5 percent of your calories are coming from carbohydrates. There's no room for error here! You need to eat a lot of green leafy vegetables, nuts, and seeds, but you also have to watch out for the hidden sugars that are in processed foods. Food companies have become professionals at hiding carbohydrates in foods. They want you to be addicted to carbs. It's what drives their profits! So, you need to be your own best advocate and become an expert at reading food labels. When you buy something, see how many carbohydrates are listed in the nutrition facts, but just as importantly, look at the ingredient list to see if you can see any different names for sugars. A few include sucrose, fructose, corn syrup, lactose, barley malt, dextrose, rice syrup, maltose, agave, molasses, cane juice, fruit juice, honey, and malt syrup. These are the big ones, but they're definitely not the only ones. If you have any doubts, don't buy it! When done correctly, the ketogenic diet can be a lifesaver, helping you both mentally and physically. I've seen this firsthand, as I discussed at length in the Ask the Expert Panel roundtable. So give it a shot, but only if you're willing to do it right. Fix these five mistakes, and you'll be on the right path.